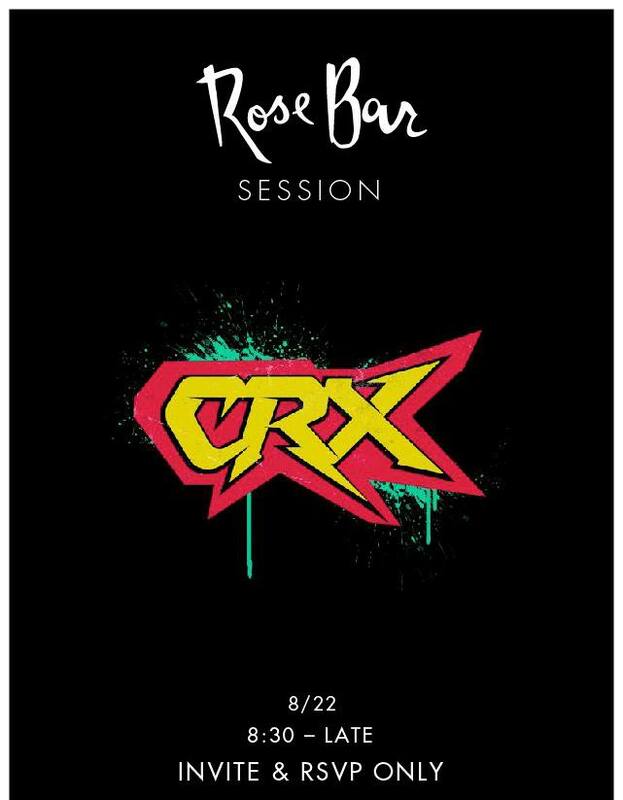 Inside the swanky Rose Bar of the Gramercy Park Hotel, CRX, the new band featuring Nick Valensi of The Strokes, Ralph Alexander of The Dose, Richie Follin of Guards, Darian Zahedi and Jon Safley of The Reflections, made their Manhattan debut. In their third show ever, the band performed to an invite only crowd of taste makers, models, celebs and industry personnel. CRX made their debut last week in Los Angeles at the tiny Hi Hat, on Saturday they headed to Brooklyn for a gig at Rough Trade and before a sold-out show at Mercury Lounge Wednesday, they performed inside the intimate hotel bar. In a room that had less than 300 people crammed inside, they showed off their chops and what they were worth. In a 30-minute set, they delivered what their sound was all about. In many ways it was Strokes-esque in terms of style but it was harder in terms of sonic quality. Think The Strokes meets Queens of the Stone Age. Even with a handful of technical problems that plagued the set, they still managed to entertain the crowd. While no word of an album or EP has been said, they are headed back to Los Angeles for gig on Friday at Satellite. It is a band that has potential for sure and as the seasoned vets fine tune their sound, what is to come will be interesting.